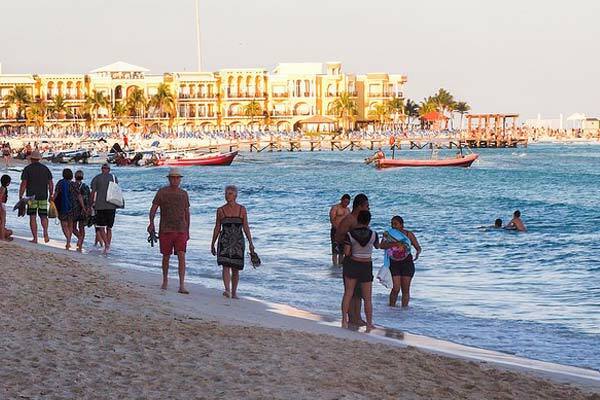 Once a small, non-descript fishing village along Mexico’s Caribbean coast, Playa del Carmen began its new and improved life as a major tourist destination back in the 70s. 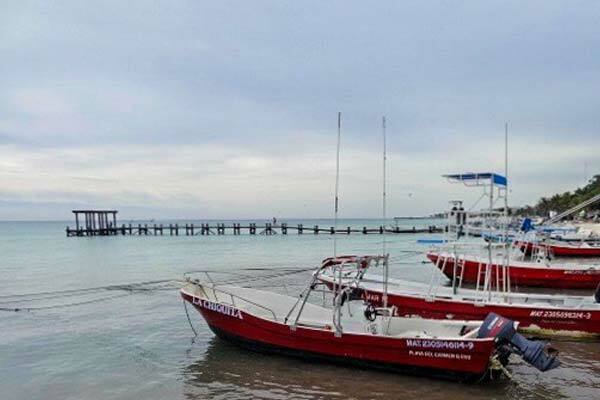 Playa (as the locals call it) was selected as the port to serve tens of thousands of tourists arriving, just offshore, on the island of Cozumel—a noted diving destination. To the delight of many and the dismay of others, Playa del Carmen has experienced a period of huge growth over the past few years. In fact, economic indicators show that Playa del Carmen is easily the fastest growing city in Mexico and many suggest, all Latin America. Best population estimates place Playa’s number at around 250,000 in 2017 and still growing. This number represents nearly a 100% increase since 2005. Bathed by the warm waters of the Caribbean Sea, along Mexico’s Yucatan Peninsula, Playa del Carmen deserves its reputation as a popular vacation destination and growing expat stronghold. As the midway point between Cancún on the north end of the Riviera Maya, and Tulúm on the south, Playa del Carmen shares the same clear, tropical waters, palm-studded white sand, and favorable climate that draws some 5 million tourists to this area, each year. Temperatures remain anchored in the mid-80s F for most of the year with the hottest summer days easily exceeding 90 F under brilliant blue skies and a blazing sun. It’s best to always have a cold drink handy. Ready access to Playa del Carmen is through one of two nearby international airports in Cancun or Cozumel, each drive will take about an hour, including a ferry ride to Cozumel. Your flight to the States will take less than two hours. Mexico offers an easily obtainable retirement visa, providing for quick, permanent residency for those meeting the simple qualifications. The straight-forward process begins at the Mexican consulate in your home state. There, the consulate officer will verify your income based on the documents you provide, review a nominal number of other documents, and your completed application. After a short interview, if approved, you’ll likely depart with your permanent residency visa affixed to the inside of your passport. Those over the age of 60 qualify for a discount card from INAPAM (Instituto Nacional para las Personas Adultas Mayores) facilitating discounts on a wide variety of goods and services. Public transportation is available throughout the city by utilizing a combination of taxis, buses, and small vans called colectivos. Prices are geared toward the local population and are more than reasonable, cheap in fact. Bus and colectivo fares run from 25 cents to 60 cents. Several hospitals offer first class medical care at reasonable prices, usually about one third the cost of hospitals north of the border. Expat residents can qualify for Mexico’s health insurance plan called Seguro Popular or the IMSS program. If needed, larger hospitals with all specialty areas covered, can be found in Cancun, an hour north. Nearly all medications can be purchased directly from the pharmacy without a prescription (narcotics and strong antibiotics are obvious exceptions) and cost only a fraction of prices north of the border. Residents of Playa del Carmen also benefit from the Cancún International Airport being just a short drive north. You can travel to and from your home country or have friends and family visit you cheaply and easily thanks to many direct flights to the U.S. and Canada. Life in Playa del Carmen needn’t be boring. As a world-class vacation destination, Playa is well prepared to offer tons of recreational opportunities for visitors and residents, alike. Restaurants are abundant, and it seems like all nationalities are represented with a food offering, somewhere. Just offshore lies the world’s second largest reef system. Fishing, diving, boating, and snorkeling are widely available through many guides and tour operators, catering to all skill levels. Admittedly, Playa del Carmen and the entire Riviera Maya attract those who love the water and water activities, even if that means lazing around, wiggling your toes in the sand and sipping a tall, cold rum drink with skewered fruit hanging from the edge. On days when the beach isn’t on your schedule, there are modern theaters, malls, and access to the rest of the Yucatan Peninsula, if you wish. For a grand adventure, you can drive down the coast to the Belize border in a bit over four hours, catching the small and noteworthy town of Bacalar, with its gorgeous lake of seven colors, along the way. The beautiful city of Chetumal, capital city of Quintana Roo, sits on the border with Belize and is a good choice for a weekend away. 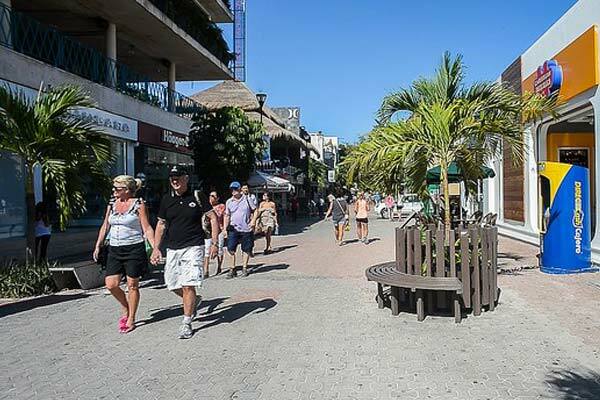 Tourists and those residents wanting to enjoy an evening out on the town can take advantage of Quinta Avenida, or Fifth Avenue, a walkable mall area, closed to vehicle traffic. Stretching some 40 blocks in length, this pedestrian walkway is only a couple of blocks inland from the beach. Here you’ll find hundreds of quaint shops, trendy bars, and chic restaurants. Tucked into small side streets, you’ll discover many small boutique hotels perfect for weekend get-a-ways. The local expat community is active, with plenty of happy hour gatherings, dinners out, and parties at home to enjoy, as well as volunteer work, yoga classes, cultural events, and other things to do. It doesn’t have to be a party all the time, by any means. Socializing is easily accomplished through expat forums on Facebook. And as expats tend to be a friendly bunch, it’s easy to strike up conversations in restaurants, the beach, or walking along Fifth Avenue. Include a bit of Spanish in your expat tool kit and you’ll be better prepared to mix and mingle with the locals, as well. In general, Mexico offers a significantly reduced cost of living when compared to the U.S., and Playa del Carmen falls in line with that expectation. However, Playa del Carmen is a tropical city on the Caribbean Sea and that profile is not available anywhere in the U.S. That said, life in Playa del Carmen is affordable and provides excellent value for the money. Housing across the globe is more expensive on the shore and Playa, like its neighbor Cancun to the north is no exception. Seek housing a few blocks or a few miles off the beach for savings of 30% to 50%. Condos are the most popular type of residential housing in Playa. To buy a 1,200-square-foot condo, you’ll spend about $125,000 to $175,000. Tiny units can he had for less. Rent for a two-bedroom apartment will run about $1,000 to $1,500 a month. Homes and condos near the beach can run 30% to 50% more. Electricity bills are delivered every other month and two months of service is generally less than $60. My high-speed, fiber optic internet comes bundled with our local telephone service (which we never use) and we pay a fixed rate of $21. A local beer will cost about $2, and an inexpensive meal will set you back about $4. A nice dinner for two in a mid-range restaurant will cost about $23. I happily buy from street vendors where a two-taco lunch will cost a bit over $2 and is often more than I can eat.